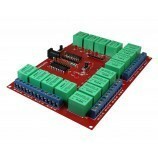 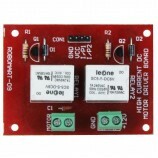 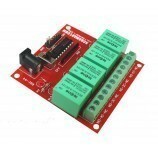 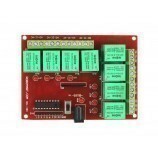 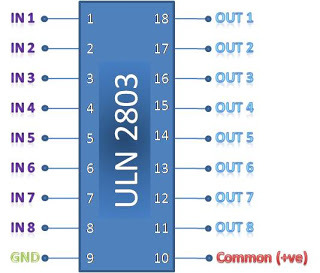 The ULN2803A device is a DIP IC having high-voltage, high-current Darlington transistor array. 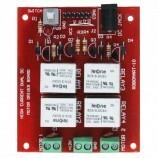 The device consists of (Single Output) eight NPN Darlington pairs that feature high-voltage output with common cathode clamp diodes for switching inductive loads. 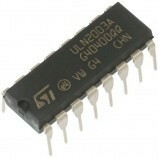 Inputs Compatible With variable types of logic. 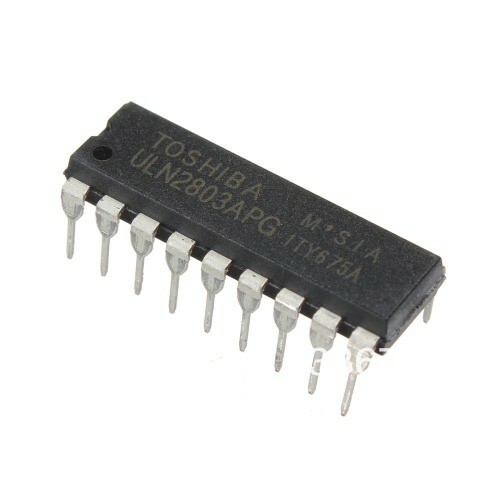 Also Searched as : uln2803 transistor array, uln2803 transistor, transistor array, darlington transistor arrays, uln2803apg, uln2803 datasheet.